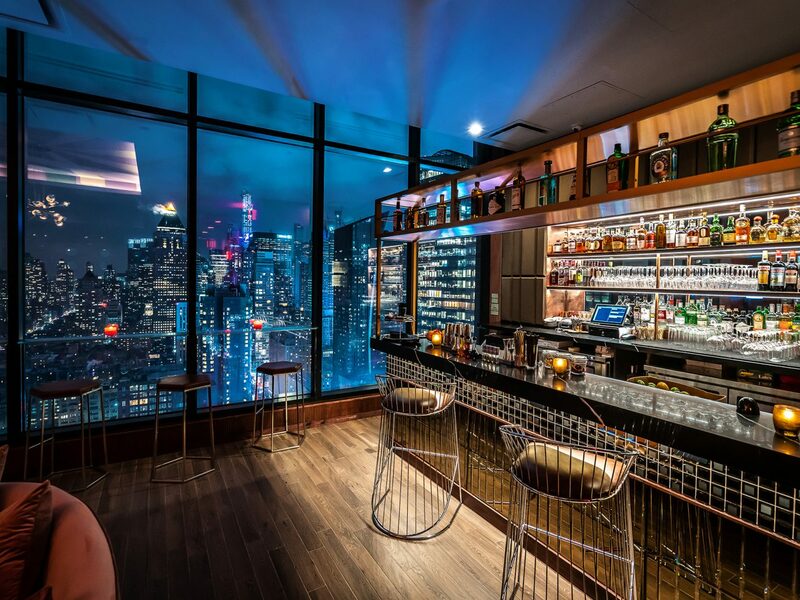 In a city like NYC there's a swanky hotel on almost every street corner, so it comes as no surprise that the city’s best bars happen to be inside them. 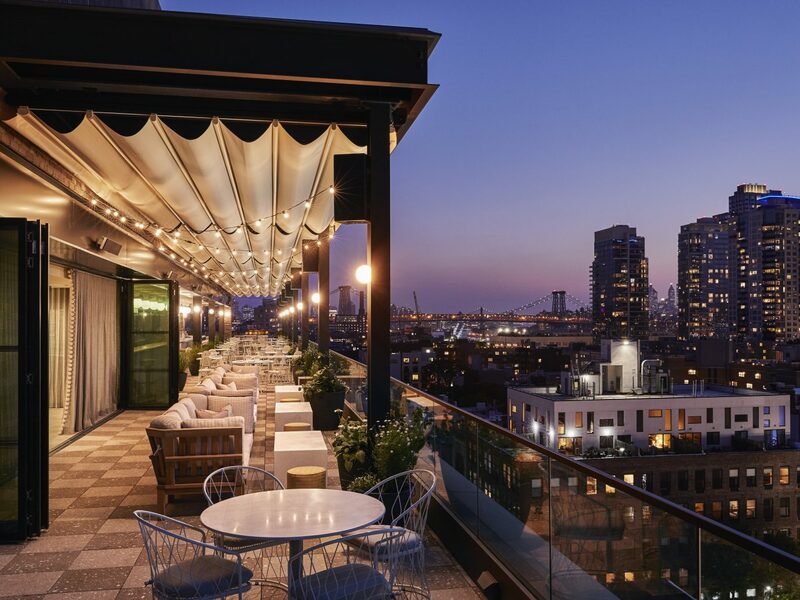 From historic haunts frequented by A-listers to rooftop aeries with killer cocktail menus, these spots are raising the bar—literally. 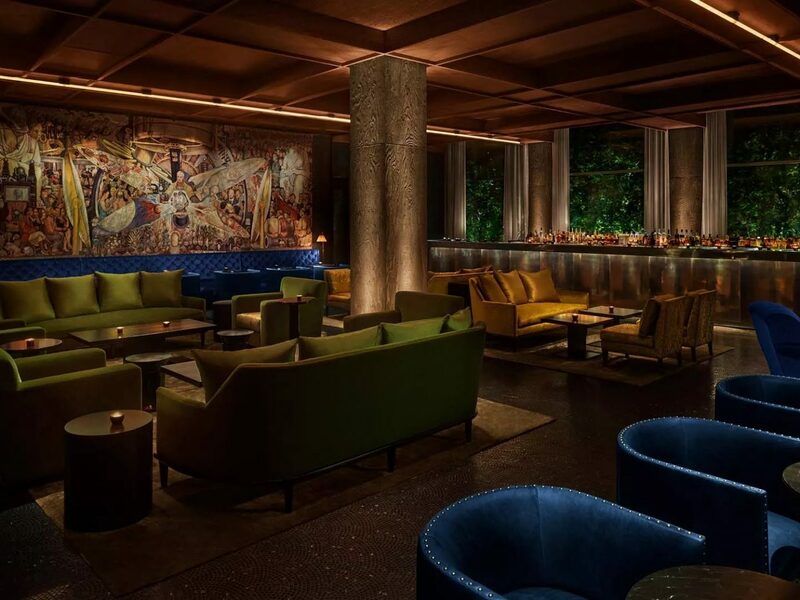 Ian Schrager—who got his start at Studio 54—is behind this hip Lower East Side hotel, so it should come as no surprise that it houses not one but three bars and an underground art space where DJs spin tunes. The roof is definitely the sceniest of the three and comes alive after dark, when international DJs bring the party vibes. 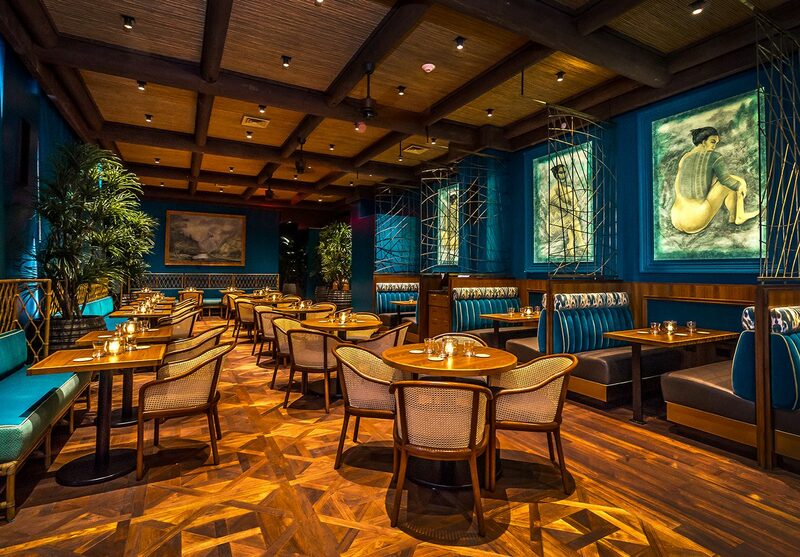 Diego is a bit more sophisticated, with murals inspired by Diego Rivera, plush couches and expertly made craft cocktails and bites by Jean-Georges Vongerichten. 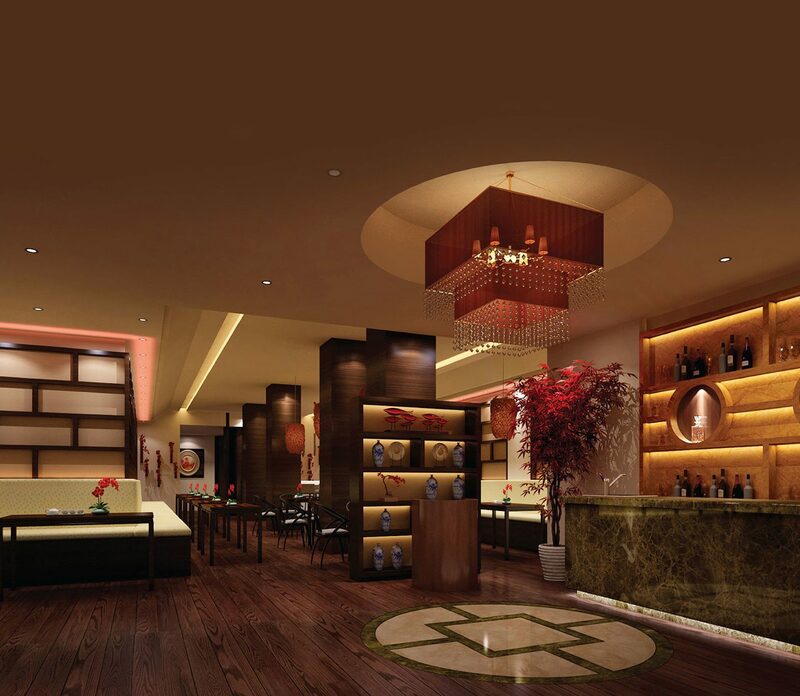 The lobby bar has the most relaxed vibe, with a pool table and a space that easily transitions from day to night. 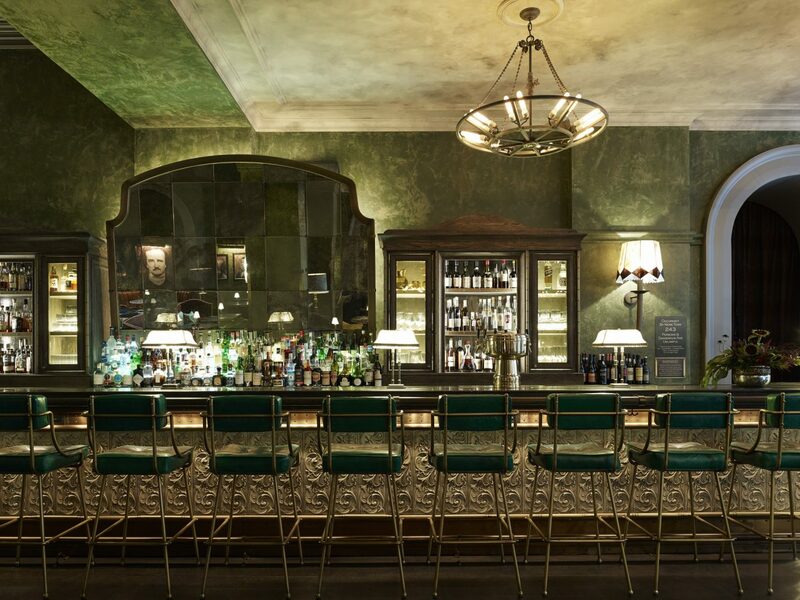 This old school New York haunt is housed within the beautiful Beaux-Arts St. Regis New York, which was originally built by John Jacob Astor in 1904. 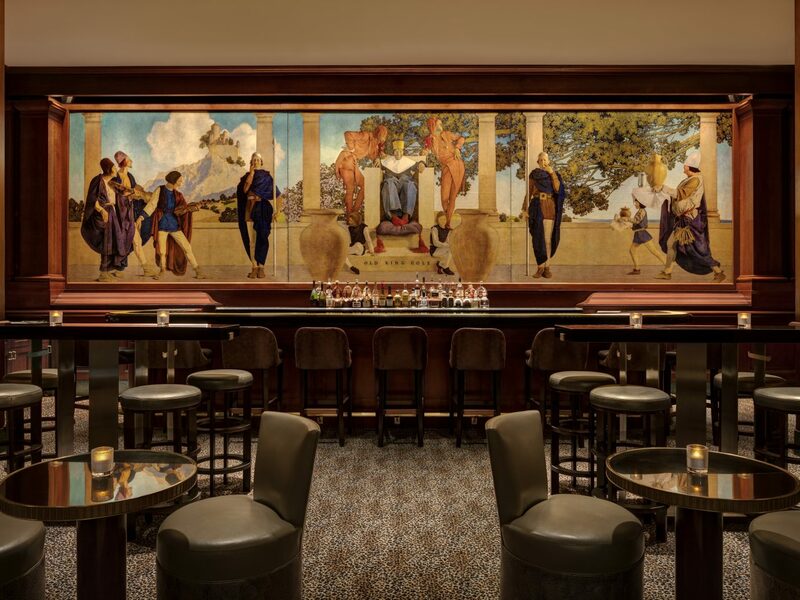 The famous mural by Maxfield Parrish depicts Astor as Old King Cole. 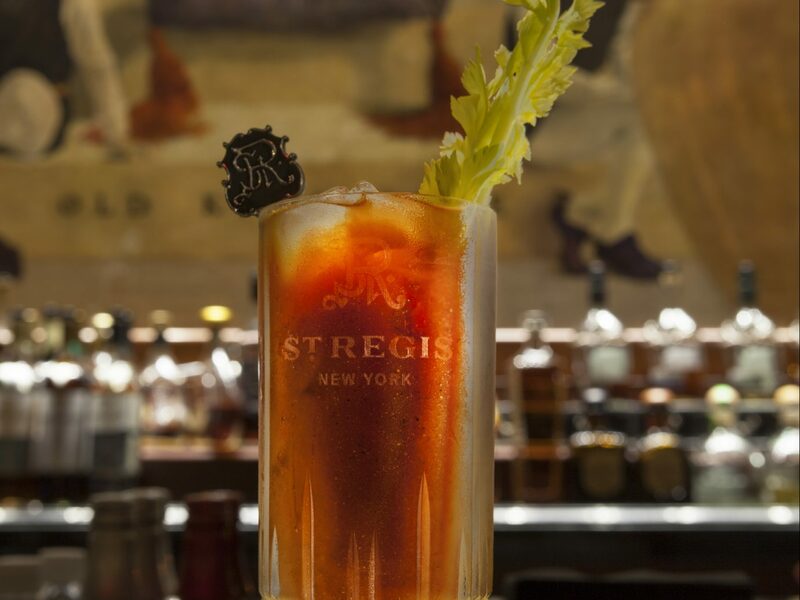 The bar claims to be the birthplace of the Bloody Mary—here dubbed the Red Snapper—but it also makes great Martinis and other classic cocktails. 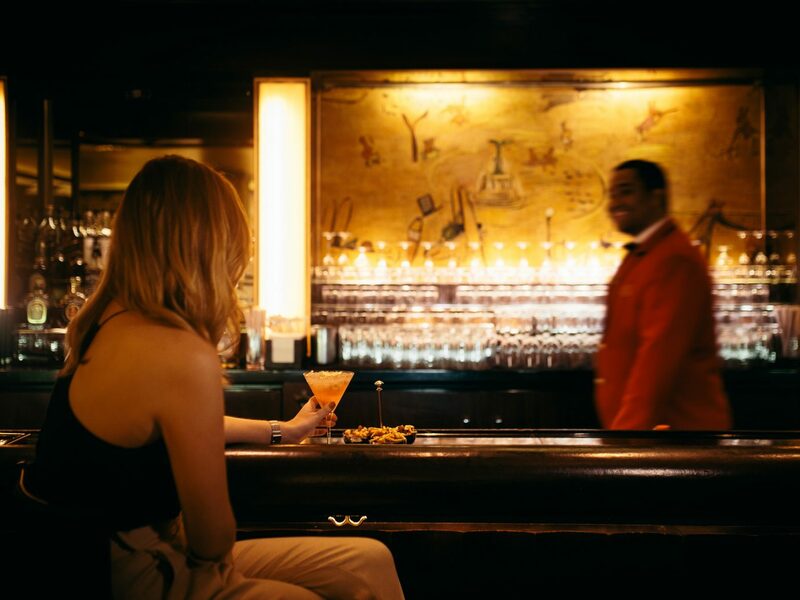 Tucked away inside the Carlyle, a Rosewood Hotel on the Upper East Side, Bemelmans Bar is a veritable New York institution. Ludwig Bemelmans, who illustrated the Madeline children’s books, painted the whimsical murals in 1947 in exchange for room and board for himself and his family for a year and a half. 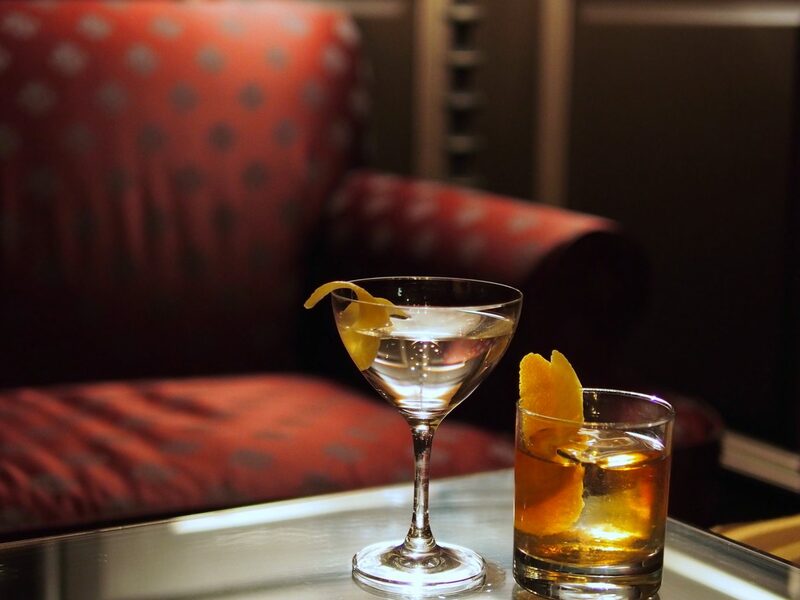 Since then, the bar has hosted A-lister celebs, socialites, politicians, and visiting royals, and was even the subject of the recent documentary “Always at the Carlyle.” FYI: the Martinis are almost as legendary as the bar itself. 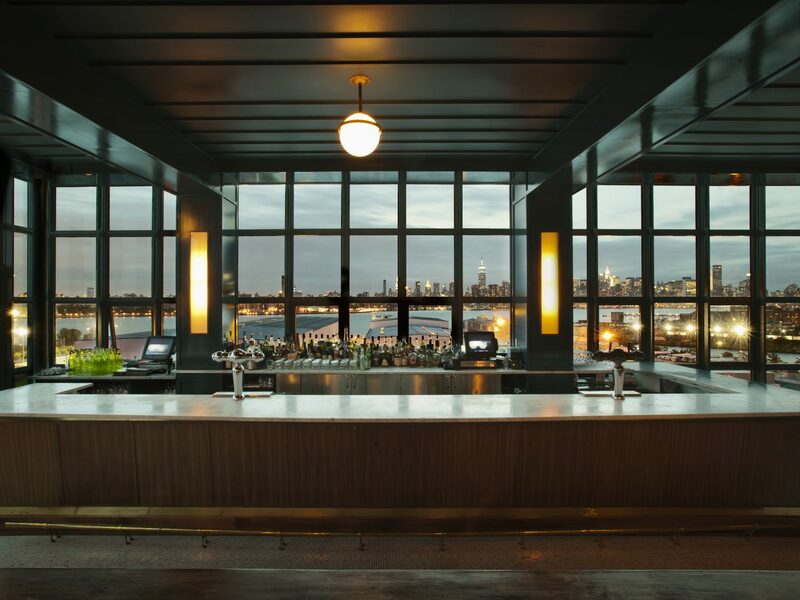 Although Williamsburg is suddenly awash in hip boutique hotels, the Wythe Hotel was the first of the bunch. 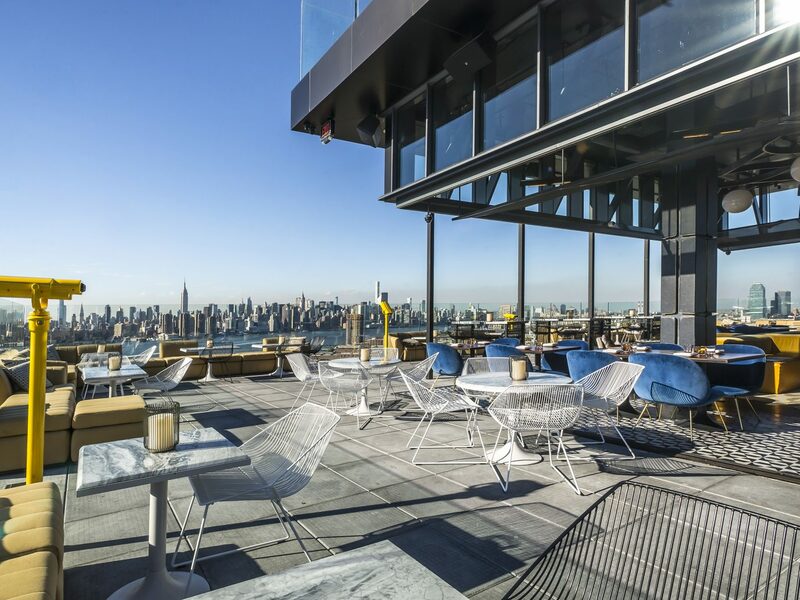 Local hipsters still flock to its rooftop bar on the sixth floor, which has floor-to-ceiling windows with incredible views of Manhattan’s skyline. In the warmer months, the outdoor terrace is the place to be. 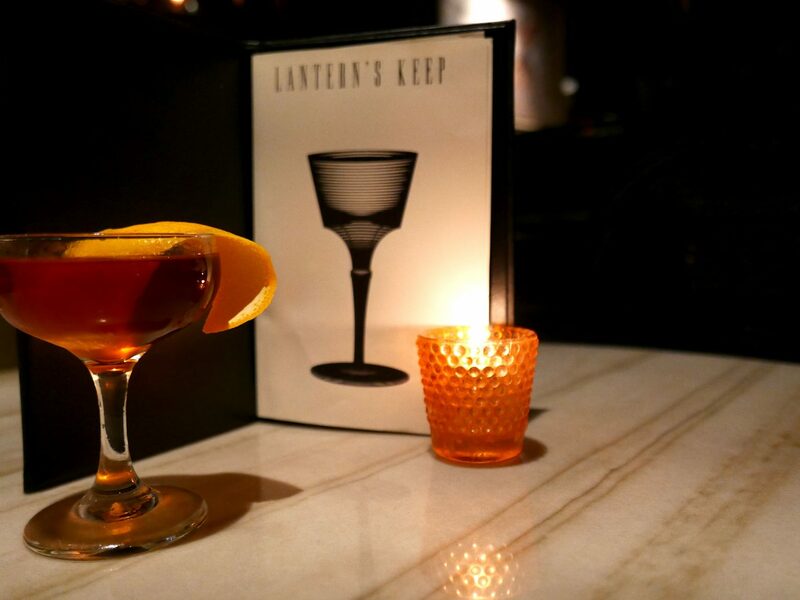 In addition to an edited cocktail list, the bar has a great selection of natural wines and small plates. 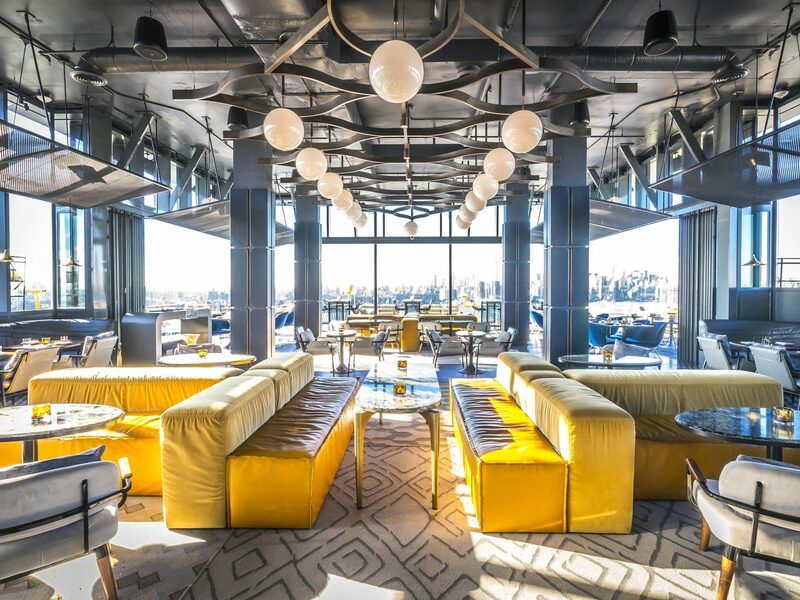 If it’s jaw-dropping views you’re after, it would be hard to beat the ones at Westlight at the William Vale, which is the highest rooftop bar in Williamsburg—and maybe the entire borough of Brooklyn. 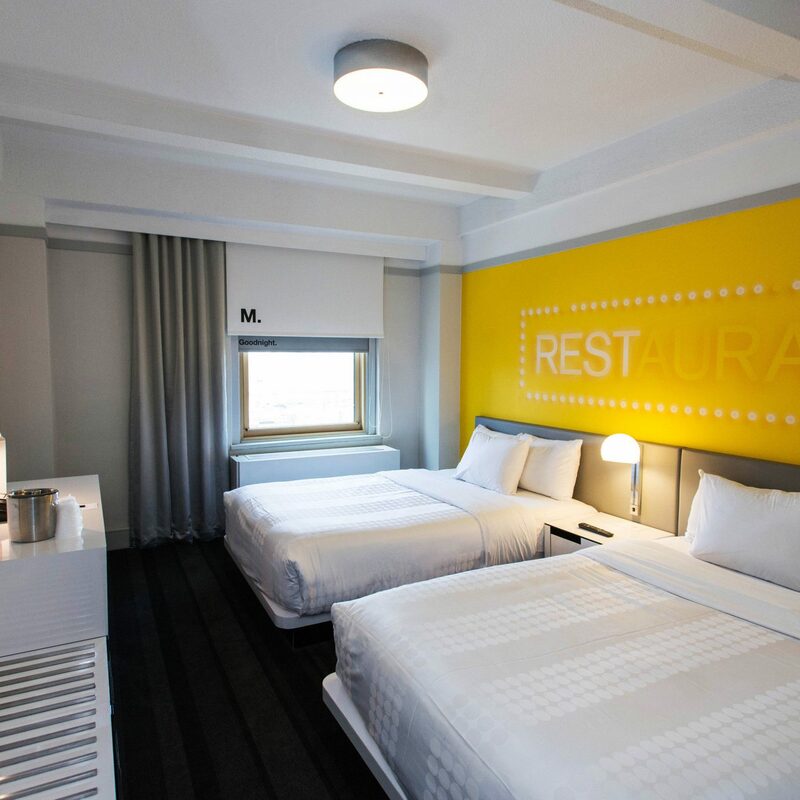 We recommend making a reservation if you don’t want to wait to get in. Aside from the cocktails, the food by acclaimed chef Andrew Carmellini is damn good. 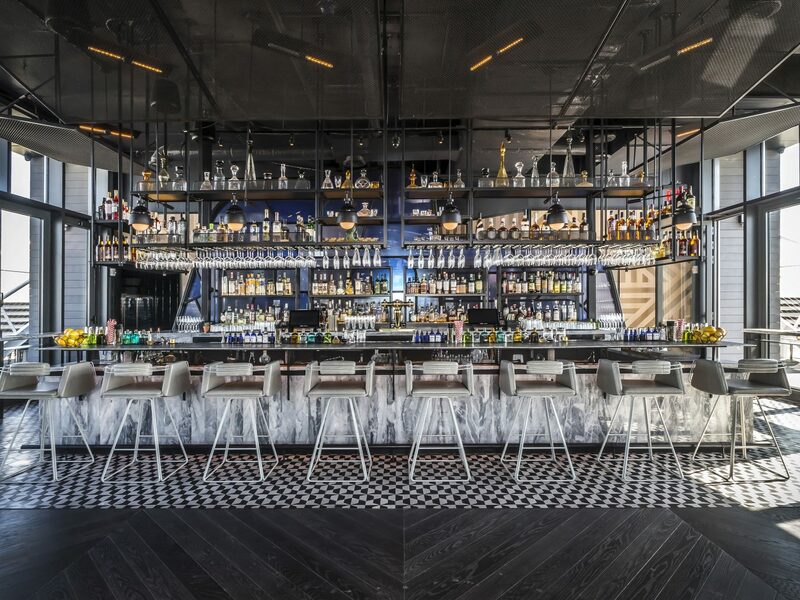 You could easily rack up a hefty tab by ordering a couple of cocktails and globally inspired small plates. 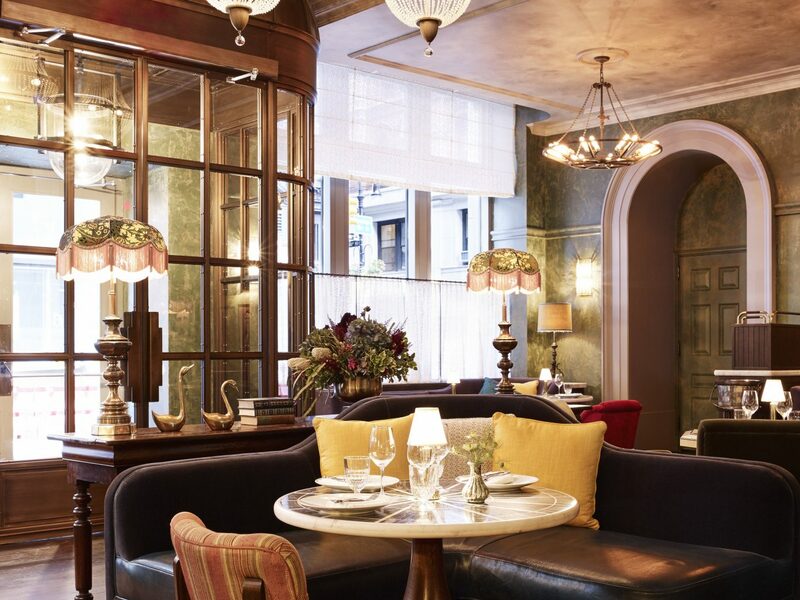 The plush French-inspired design at the NoMad Hotel makes it one of New York’s swankiest stays and the Elephant Bar is arguably the heart of the hotel. 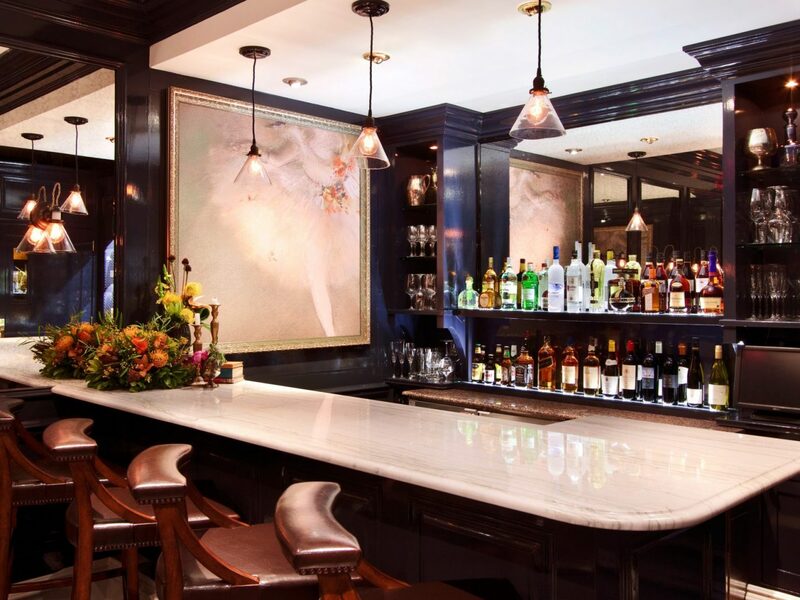 Acclaimed mixologist Leo Robitschek devised the sophisticated menu here and at the adjacent NoMad Bar, which serves upscale pub fare by award-winning chef Daniel Humm. 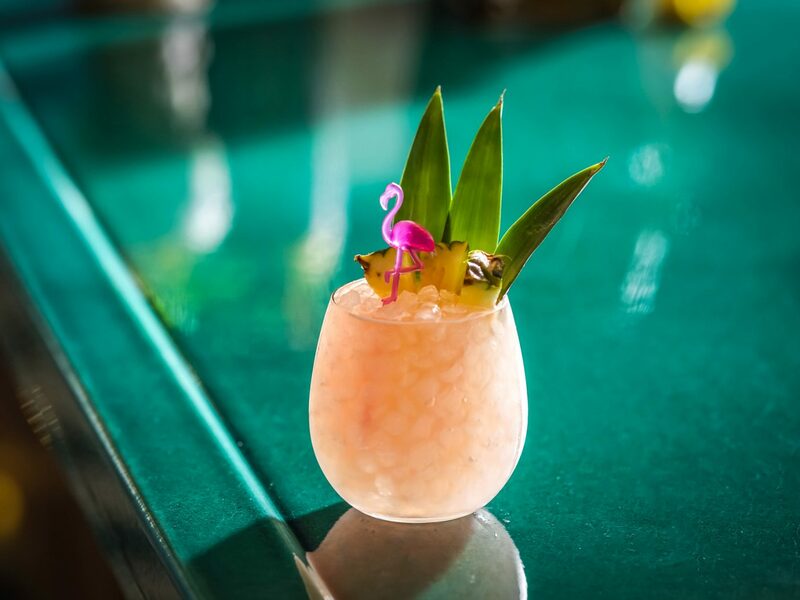 Try one of the signature drinks like the Detox-Retox, which mixes blended scotch, Venezuelan rum, pineapple rum, aged cachaça, coconut water, and angostura bitters. 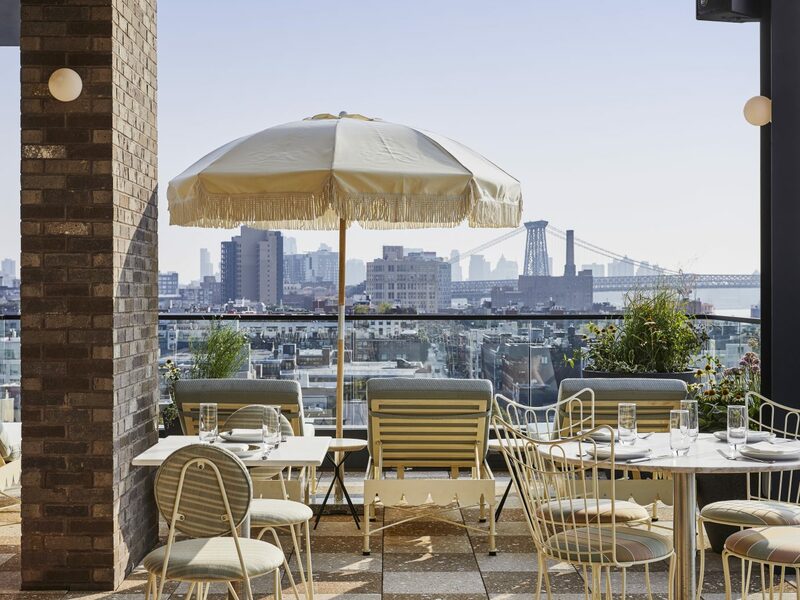 The Hoxton, Williamsburg—the neighborhood’s newest hotel—has a rooftop bar that exudes coastal-chic vibes. 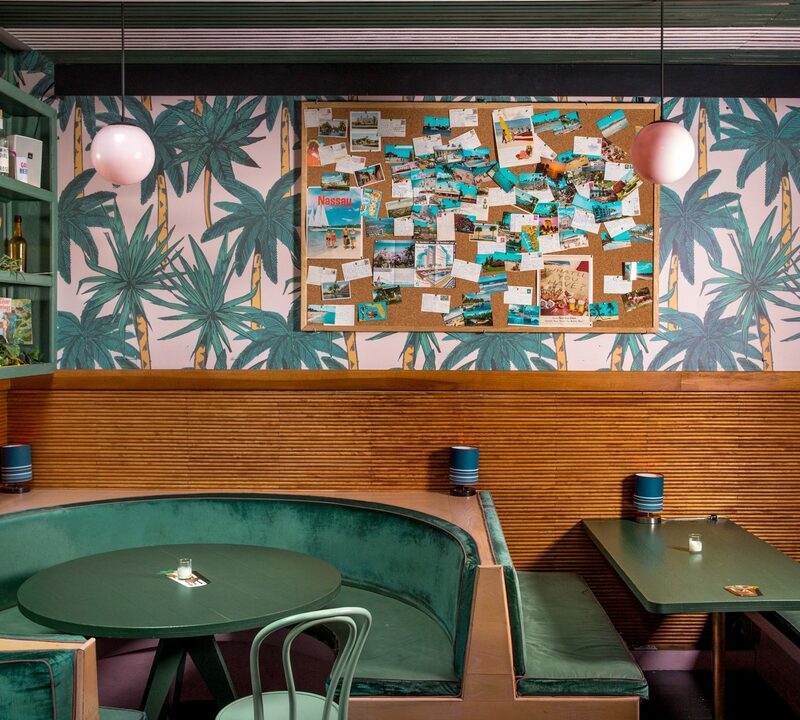 Vintage furniture and a pastel color palette set the tone for summertime favorites like lobster rolls, corn fritters, and New England-style clam bakes. Large-format cocktails are meant for sharing and breezy libations are perfect for day drinking. 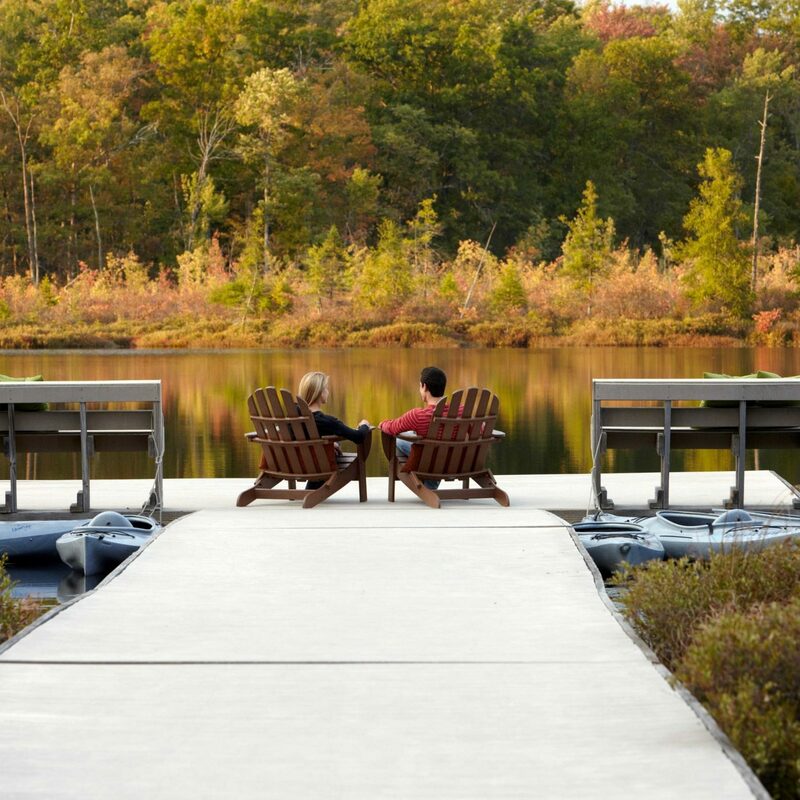 The bar is currently closed for the season, but you can bet that when it reopens, it’ll be one of Williamsburg’s hottest destinations. 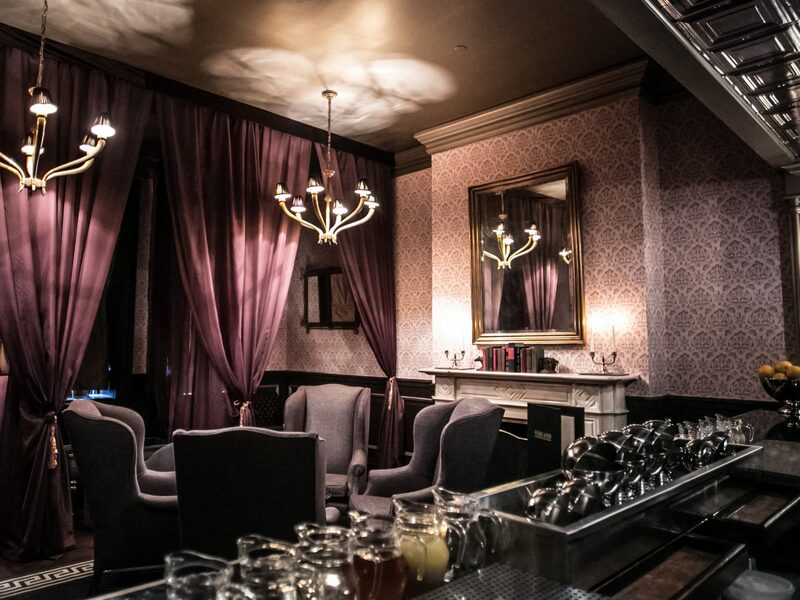 The original Raines Law Room may be located in Chelsea, but we think its sister speakeasy inside the William Hotel might be even better. Both make you feel like you’ve stumbled into a classy Victorian parlor, but take a close look at the wallpaper and you’ll find a raunchy surprise. 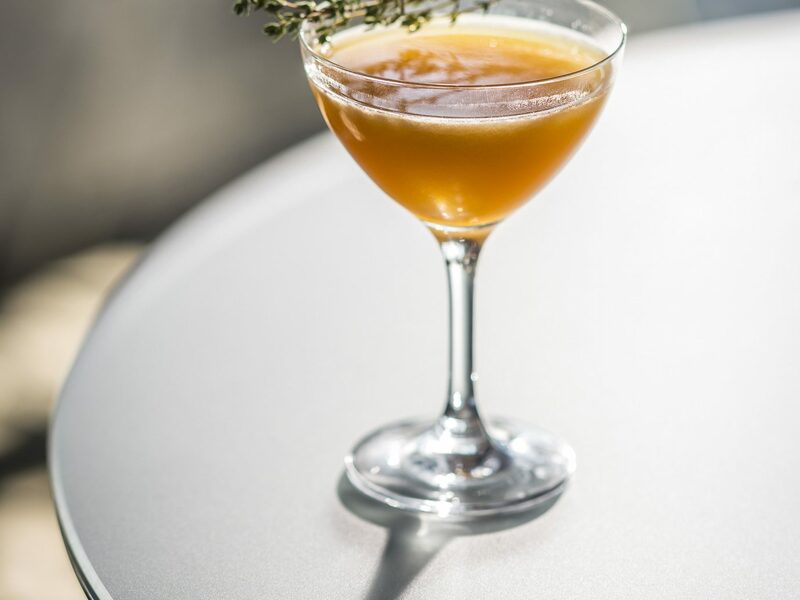 Raines is helmed by Meaghan Dorman—one of the most talented bartenders in the biz—so expect perfectly executed classic cocktails and creative takes on the classics. 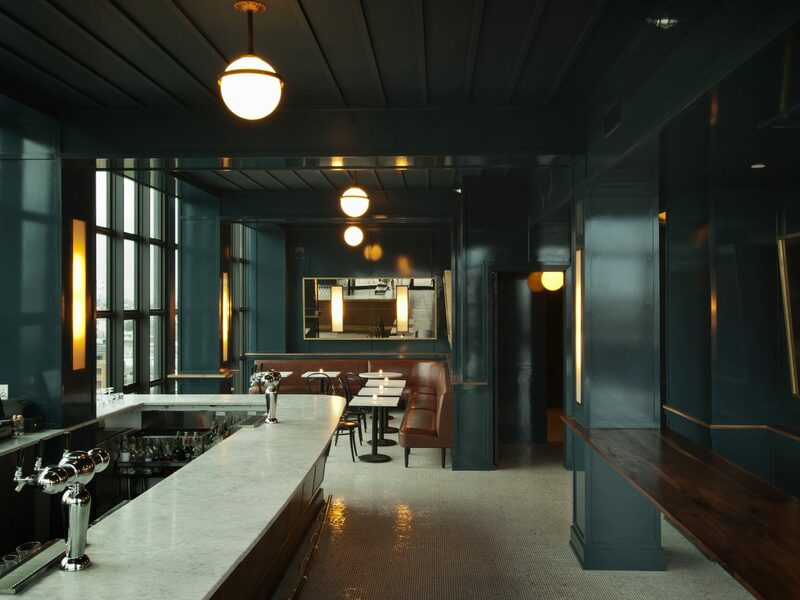 Meaghan Dorman and her partners Yves Jadot and Alberto Benenati have taken their talents to the Aliz Hotel, where they just launched Dear Irving on Hudson, the second location of their swanky cocktail bar on Irving Place. 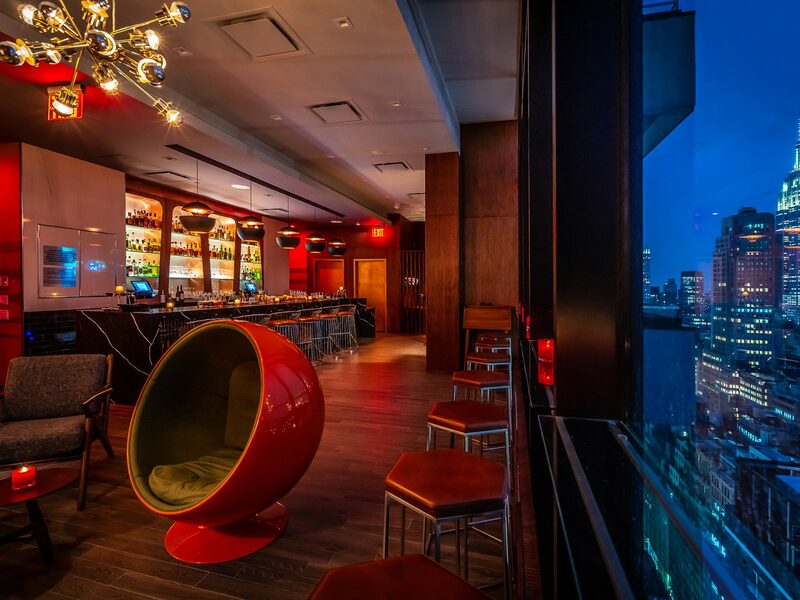 On the 40th and 41st floors, the bar channels James Bond vibes with mod décor—take a spin in the revolving egg chair—and amped up classics like a Daiquiri tinged with pineapple and coconut. 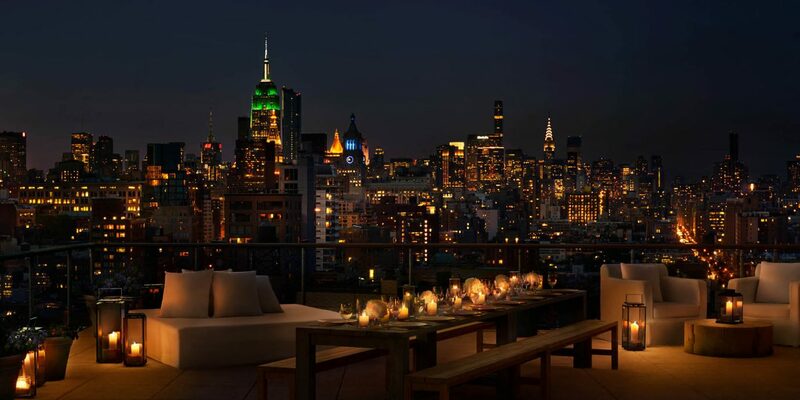 Take yours out onto the terrace, which has unparalleled views of the Empire State Building. 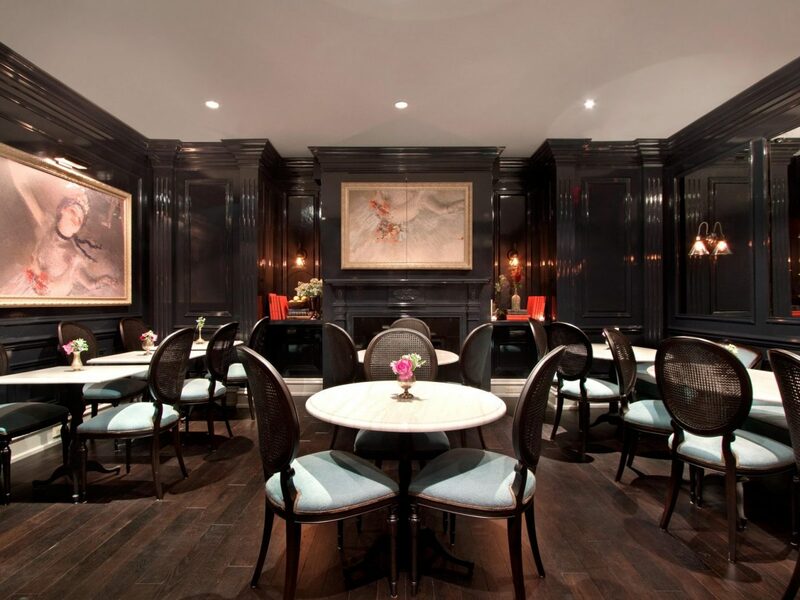 Midtown’s Iroquois Hotel opened in the early 1900s, and though Lantern’s Keep is a much more recent addition, you wouldn’t know it from the décor. There’s no sign of it from outside, but if the lantern on the hotel’s façade is lit, that means the bar is open for business. 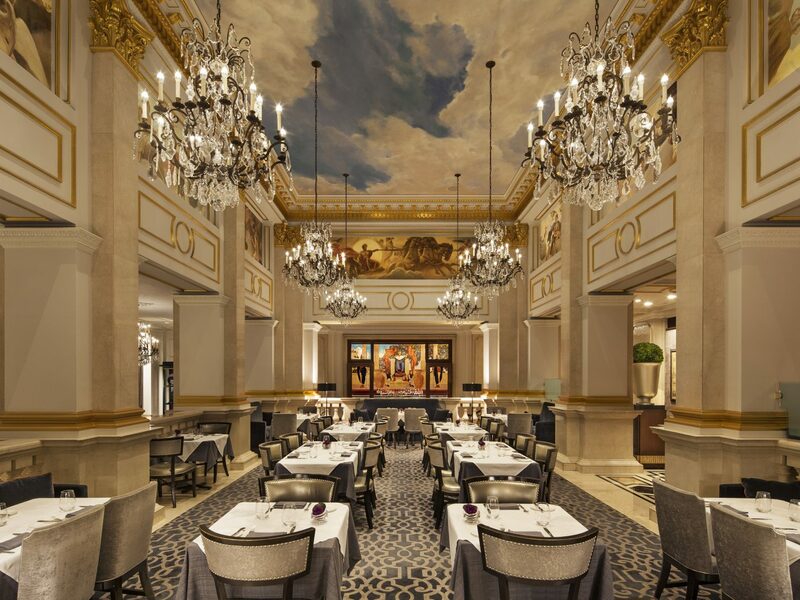 Go through the lobby and you’ll find this little jewel box of a bar with black paneled walls adorned by Impressionist paintings of ballerinas and marble tables with Louis XIV chairs upholstered in powder blue velvet. 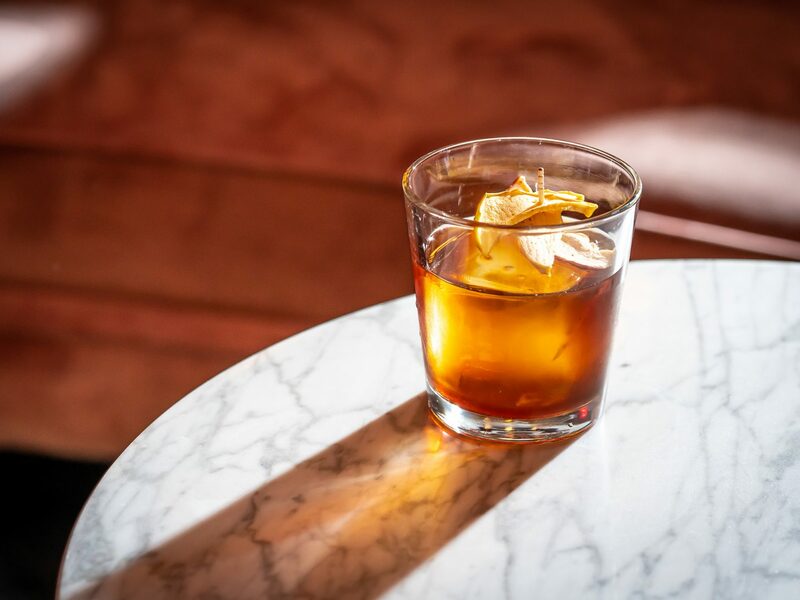 The menu features original takes on the classics like a Negroni variation made with gin, Cocchi americano, Aperol and Angostura bitters. 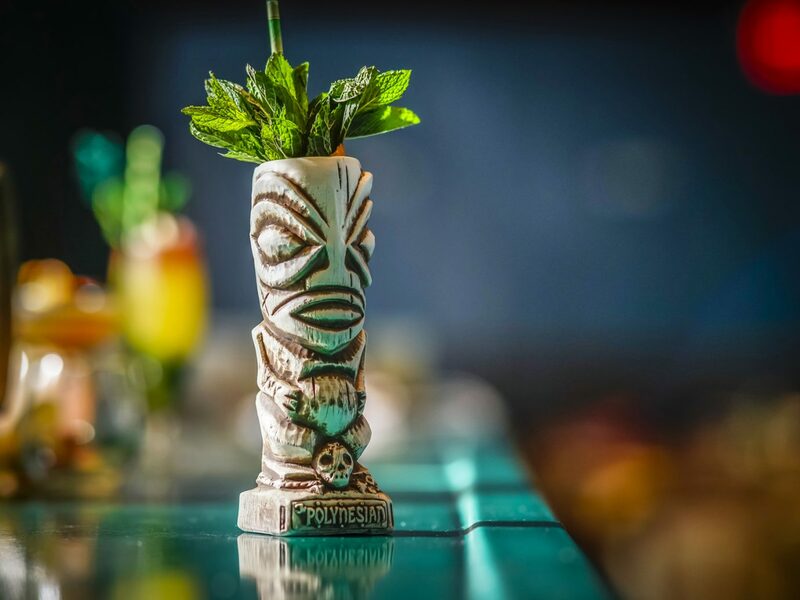 New York had a serious dearth of tiki bars before self-proclaimed tiki pirate Brian Miller opened the Polynesian in the Pod Times Square last spring. 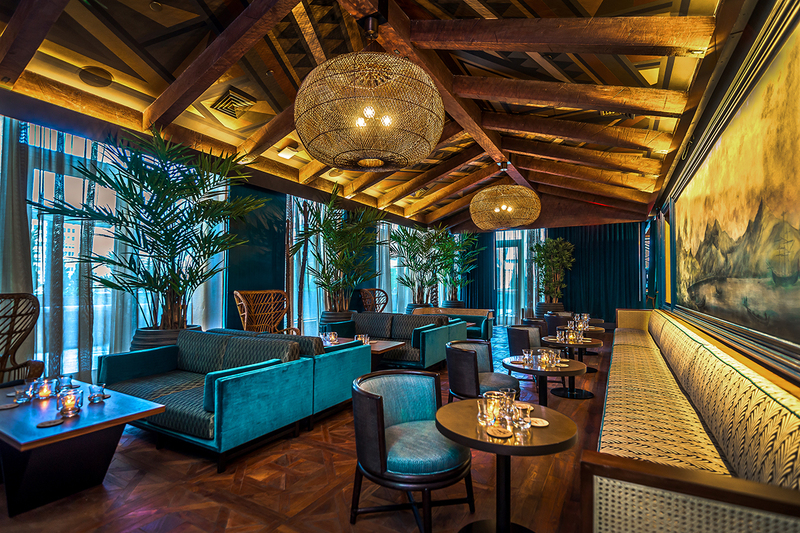 Miller—who came up the ranks at Death & Co., Pegu Club, and ZZ’s Clam Bar—is passionate about bringing tropical island vibes to the island of Manhattan. His menu is an ode to Trader Vic and Don the Beachcomber, with drinks like the Reggae Bus, which combines rum, yellow chartreuse, lime juice, mint, saffron syrup, and bitters. 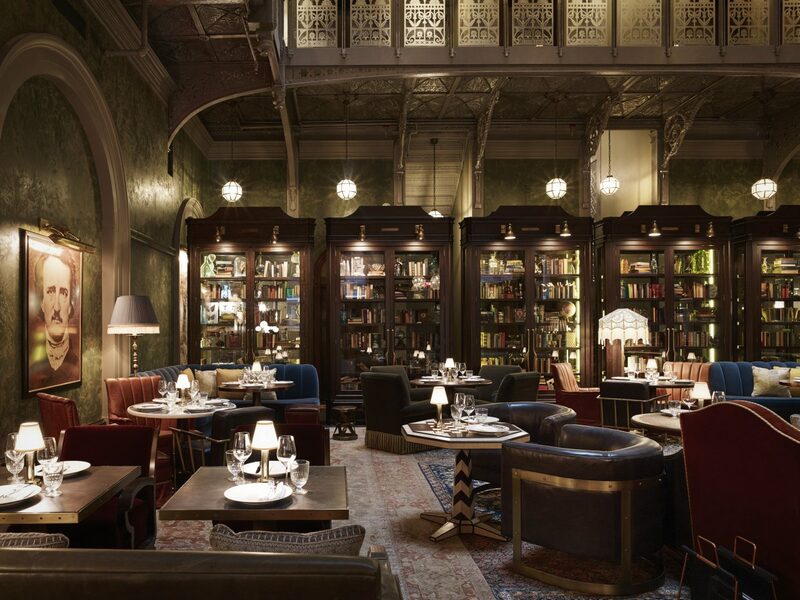 Settle in for a drink at this plush lobby bar under the nine-story Victorian atrium of the Beekman, a Thompson Hotel and you might rub shoulders with Condé Nast editors and Wall Street financiers. 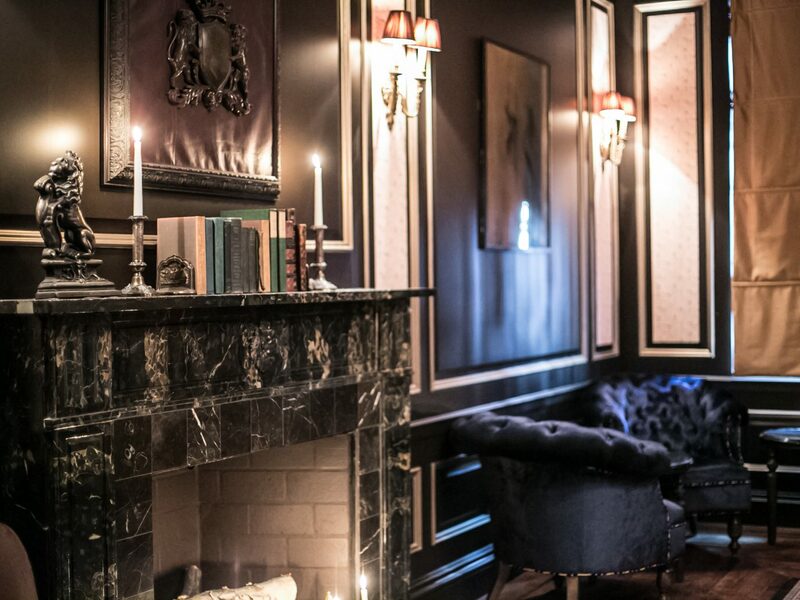 The space harks back to old New York with velvet banquettes, book cases filled with curios, and a huge portrait of Edgar Allan Poe. 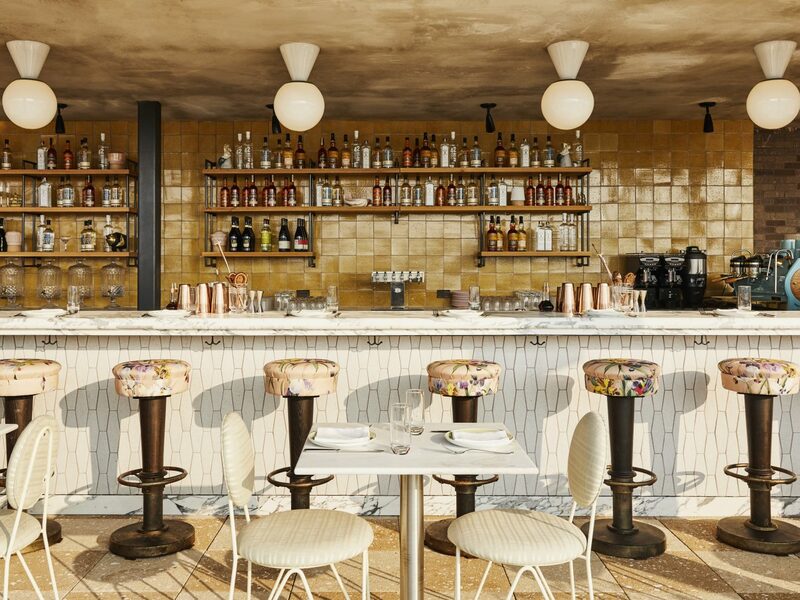 It’s open all day, so you could start with lunch or coffee and stay for cocktails named after famous authors like Jane Austen and Truman Capote. 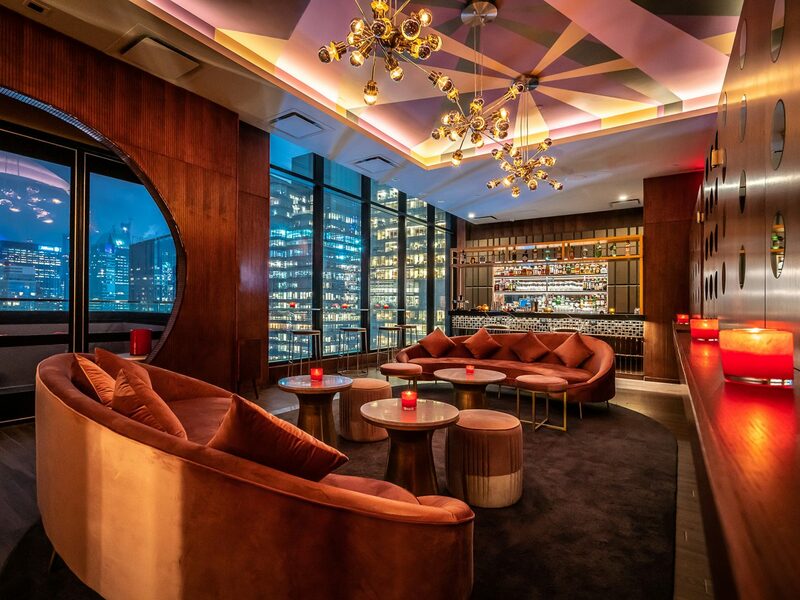 Chicago-based chef Grant Achatz brought his high-concept cocktail bar to Mandarin Oriental, New York in 2017 and it was an instant hit. 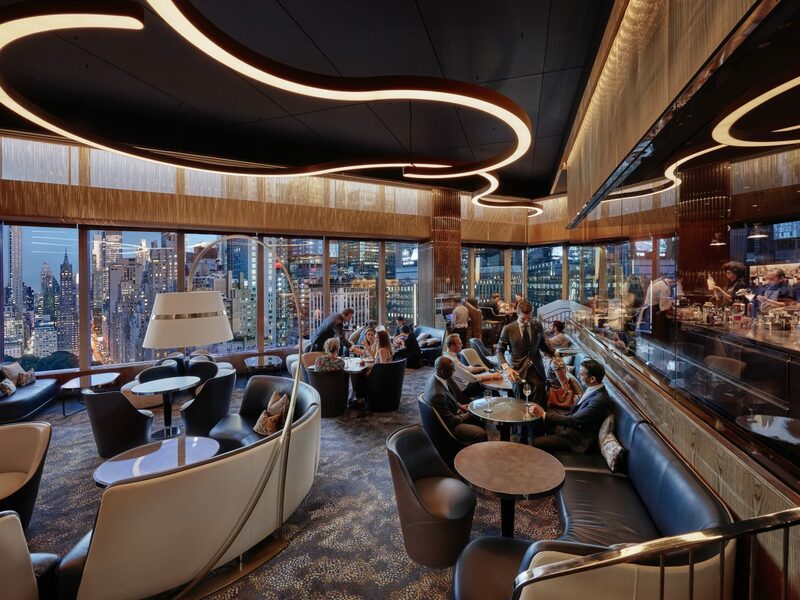 High up on the hotel’s 35th floor, the lounge is oriented so just about everyone seated there has great views of Columbus Circle, but the cocktails are the true showstoppers. 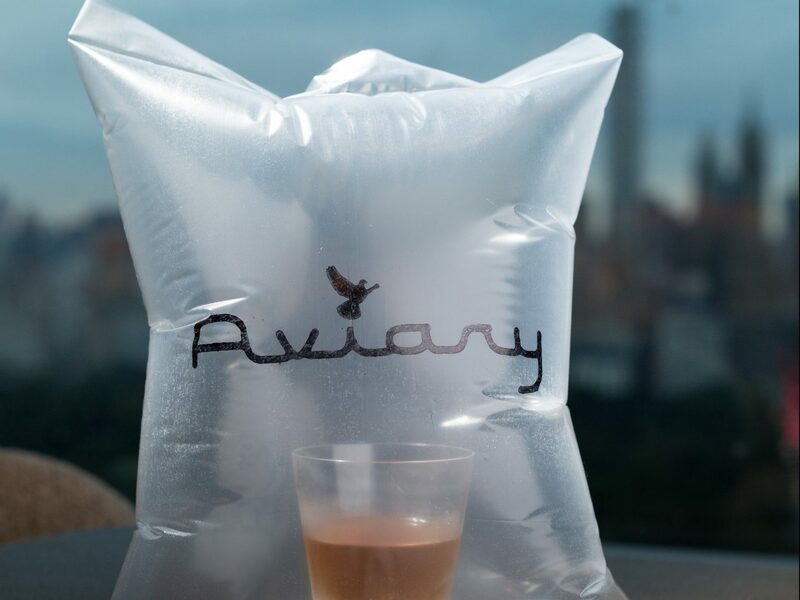 An elaborate cocktail kitchen with high-tech tools creates playfully named libations like the Wake and Bake, which arrives in a plastic bag redolent of the scent of everything bagels. 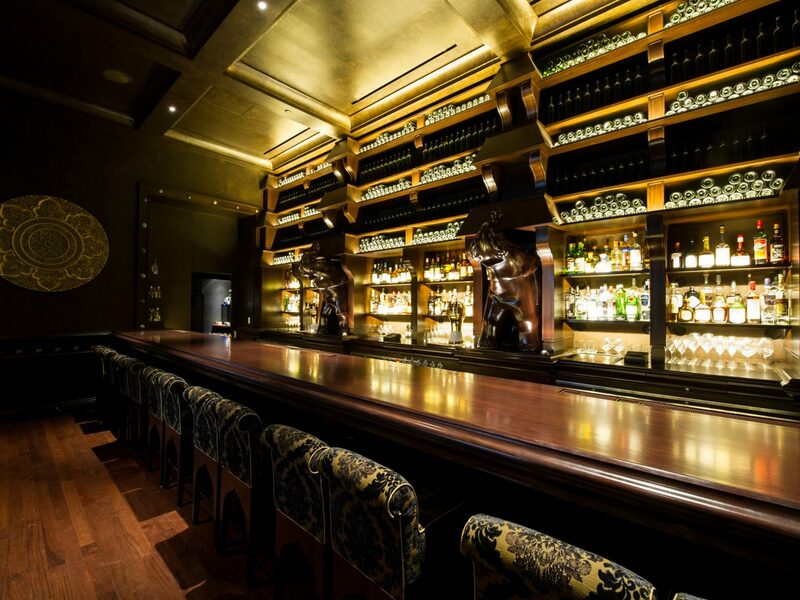 Though the cocktail sorcery is impressive, we’re actually partial to the Office NYC, a more intimate speakeasy hidden behind the Aviary NYC, which has an impressive collection of rare antique spirits.